[S56] Funeral Home Obituaries & Funeral Notices, 18 Jun 2015. 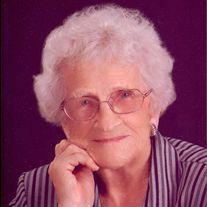 Funeral services for Mrs. Mary Ellen Millard, 99, of Henderson, will be held at 10:00 am Saturday, May 16, 2015 in the chapel of Crawford-A. Crim Funeral Home with Leroy Sedgwick officiating. Interment will follow at Crims Chapel cemetery under the direction of Crawford-A. Crim Funeral Home. Mrs. Millard passed from this life on May 13, 2015 in Henderson. The family will receive friends from 5 to 7 pm, Friday, May 15, 2015 at the funeral home. Mrs. Millard was born September 6, 1915 in the Crims Chapel community to Vince and Cordia Barton Waller. She was a member of South Main Church of Christ, and she retired from Fiberglass Specialties. She was preceded in death by: parents, Vince and Cordia Barton Waller; husband, R. H. Millard; brothers, Ollen Waller, U.L. Waller, Clifford Waller, Falvey Waller, Dewey Waller; sister, Josie Atwood; and great grandson, Cameron Bumpass. Survivors include: daughters, Abbie Claxton of Henderson, Billie Ballenger of Henderson, Inell Rawson of Houston; grandchildren, Lisa Hood and husband Geary of Corinth, Kathy Lohn and husband Chuck of Houston, John Rawson of Austin, Christi Bumpass and husband Charles of Haughton, LA; seven great-grandchildren; and three great-great-grandchildren. Pallbearers will be Charles Bumpass, Jeremy Hood, Wesley Goode, Steven Goode, Tom Jones, and Tim Andrews. Words of comfort may be shared with the family at . [S11] Find A Grave, (www.findagrave.com), 19 Jun 2010.